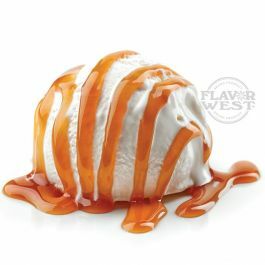 Butterscotch ripple has a delicious vanilla butterscotch flavor. It's an irresistibly perfect match and gives an extra edge to your favorite treats. Adjust to the taste of this awesome, satisfying flavor to get a run for your money. Type: Butterscotch Ripple Water Soluble Flavoring. Ingredients: Natural and Artificial Flavoring and Propylene Glycol. USP Kosher Grade Flavoring. Usage Rate: 15-20% for E-use. Flavor suitability: Desserts, pastries and baked treats, yogurt, ice cream, candy and more. Specific Gravity: 1.10 No Refunds on Flavoring. Excellent concentrate. my main butterscotch flavor..